Léo-Paul Dana, a graduate of Ecole des Hautes Etudes Commerciales, and McGill University, in Canada, is Professor at Montpellier Business School and Marie Curie Fellow at Princeton University. He formerly served at the University of Canterbury and prior to that as Visiting Professor of Entrepreneurship at INSEAD and Deputy Director of the International Business MBA Programme at Nanyang Business School, in Singapore. He has published extensively in a variety of leading journals including the British Food Journal, Cornell Quarterly, Entrepreneurship & Regional Development, Entrepreneurship: Theory & Practice, International Small Business Journal, Journal of Small Business Management, the Journal of World Business, and Small Business Economics. Research on cultural aspects on entrepreneurship has long traditions, and diverse perspectives offer a rich input for a better understanding the phenomenon (Berger, 1991). Moreover, the body of research and publications on culture and entrepreneurship has been growing over the last years (Dubina & Carayannis, 2016; Freytag & Thurik, 2010; Greene, Storey, & Mole, 2008; Greenman, 2013; Marttila, 2013). Thus, culture is not a missing link in entrepreneurship studies, however long traditions do not always translate it to sufficient body of knowledge on dynamic relations between entrepreneurship, culture and institutions (George & Zahra, 2002; Glinka, 2008; Huggins & Thompson, 2014). Both empirical and theoretical changes call upon a need for more coherent, contextualized, and holistic understanding of different faces of the relation between entrepreneurship, culture and institutions (Acs, Stam, Audretsch, & O'Connor, 2017; Ram, Jones, & Villares-Varela, 2017). Examples on empirical changes are social upheavals and massive migrations as well scepticism towards corporations, the financial sector and capitalist institutions. Such empirical changes in recent years have increased the importance of exploring and harnessing the entrepreneurial potential within and between different cultural backgrounds that carry heterogeneous institutional contingencies (Busenitz, Gomez, & Spencer, 2000; Kloosterman, van der Leun, & Rath, 1999). From a theoretical perspective, there is also a need to break with the dominion of western (US and West-European) thinking in entrepreneurship theory and improve entrepreneurship theory by, for real, focusing more on empirical data and perspectives from countries and cultures other than US/West-European (Ramírez Pasillas, Brundin, & Markowska, 2017). Entrepreneurship theory also need to become more systematic and from a system thinking perspective, we should ask ourselves how the systemic interactions of people, business entities, and individuals are linked (or not) to foster entrepreneurial behaviours. At the beginning of 20th century, Schumpeter (1934/2004) used the idea of “creative destruction” to characterize the behaviour of the entrepreneur (or you could say, entrepreneurialism), and describe his/her role in economies and societies. This started a still on-going discussion on the role of entrepreneurs in creating innovation, defining public space, and potentially contributing to social development and economic welfare. One of the most ambitious recent efforts in re-igniting this discussion is the four-volume, "New Movements in Entrepreneurship"-serie edited by Daniel Hjorth and Chris Steyeart and published by Edward Elgar from late 1990s to 2000s (see for instance the 4th and last one here). Other singular efforts (articles, book chapters) in the same vein are for instance Baumol, 2004; Johannisson, 2011; Bradley & Klein, 2016 and Lundberg, Ramírez-Pasillas, & Högberg, 2016). The discussion refers to fundamental questions on the nature of entrepreneurship in relations to societal norms and institutions. Is the friction between destruction and order the essence of entrepreneurship? Do different cultures create different entrepreneurial ecosystems? The workshop aims to contribute to a deeper recognition of a diverse phenomenon of entrepreneurship by concentrating on its cultural and institutional facets, antecedents, and consequences. We aim at creating a discussion forum for research revolving around the topic of entrepreneurship seen from a cultural and institutional stance. The idea behind this workshop is to continue discussion on entrepreneurs’ role in societies, as well as the influence that culture, social norms and institutions have on entrepreneurs’ attitudes, perceptions, choices, and actions. The workshop welcomes a wide range of topics connected with social aspects of entrepreneurship and culture. Both qualitative and quantitative projects are welcome. We also welcome conceptual papers. Cultural context of entrepreneurship: values, symbols, and institutions. Social perception of entrepreneurs and entrepreneurship. Entrepreneurial societies: theory and reality. Being entrepreneurial: an opportunity or a social constraint. Institutionalization of entrepreneurship and innovations: discourses, systems, and frictions. Social entrepreneurship from individual and societal perspective. Entrepreneur between cultures: international entrepreneurship. Building entrepreneurial identities in different cultural contexts. Social and organizational resistance to creativity and entrepreneurship. Entrepreneurial culture within organizations: organizational entrepreneurship, corporate entrepreneurship and intrapreneurship. Entrepreneurs as a simulacrum of creative destruction: managers and speculators destroying the entrepreneurial spirit. Entrepreneurs and managers as creative heroes of pop-culture? Critical approaches to the creative process. Please note that alternative and innovative interpretations of the theme and topics are both invited and encouraged. Please click HERE to submit on line. Baumol, W. (2004). Entrepreneurial Cultures And Countercultures. Academy of Management Learning and Education, 3, 316-326. Berger, B. (Ed.) (1991). The Culture of Entrepreneurship. San Francisco: ICS Press. Bruton, G. D., Ahlstrom, D., & Li, H.-L. (2010). Institutional Theory and Entrepreneurship: Where Are We Now and Where Do We Need to Move in the Future? Entrepreneurship Theory and Practice, 3, 421 - 440. Busenitz, L. W., Gomez, C., & Spencer, J. W. (2000). Country Institutional Profiles: Unlocking Entrepreneurial phenomena. The Academy of Management Journal, 43(5), 994-1003. Dubina, I. N., & Carayannis, E. G. (2016). Creativity, Innovation, and Entrepreneurship Across Cultures: Theory and Practices. New York: Springer. Freytag, A., & Thurik, R. (Eds.). (2010). Entrepreneurship and culture. Berlin, Heidelberg: Springer. George, G., & Zahra, S. A. (2002). Culture and its Consequences for Entrepreneurship. Entrepreneurship: Theory and Practice, 26, 27-29. Glinka, B. (2008). Kulturowe uwarunkowania przedsiębiorczości w Polsce (The cultural context of entrepreneurship in Poland). Warszawa: PWE. Greene, F. J., Storey, D. J., & Mole, K. (2008). Three Decades of Enterprise Culture? : Entrepreneurship, Economic Regeneration and Public Policy. New York: Palgrave Macmillan. Greenman, A. (2013). Everyday entrepreneurial action and cultural embeddedness: an institutional logics perspective. Entrepreneurship and Regional Development, 25(7-8), 631-653. Kloosterman, R., van der Leun, J. P., & Rath, J. (1999). Mixed embeddedness, migrant entrepreneurship and informal economic activities. International Journal of Urban and Regional Research, 23(2), 253-267. Lundberg, H., Ramírez-Pasillas, M., & Högberg, A. (2016). Towards a Conceptual Model for Heritagepreneurship and Regional Development. In V. Katsoni & A. Stratigea (Eds. ), Tourism and Culture in the Age of Innovation (pp. 23-40): Springer. Marttila, T. (2013). The Culture of Enterprise in Neoliberalism: Specters of Entrepreneurship. Hoboken: Routledge. Ramírez Pasillas, M., Brundin, E. and Markowska, M. (2017). Contextualizing Entrepreneurship in Emerging Economies and Developing Countries. Cheltenham, UK: Edward Elgar. Schumpeter, J. A. (1934/2004). The theory of economic development. New Brunswick, London: Transaction publishers. 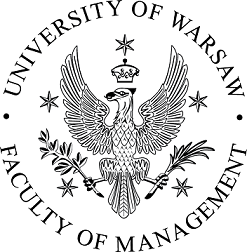 The conference venue, Faculty of Management, University of Warsaw - Szturmowa Campus, is located in southern Warsaw (10-15 minutes from the airport). TAXI – from centrally located hotels it costs about 8 – 15 Euro and takes 20 - 50 minutes (depending on a traffic). To get to the Faculty, you need to use the first line. From the stations like Świętokrzyska, Centrum, Politechnika (or any other between MŁOCINY and WILANOWSKA) take a train in the KABATY direction to the station SŁUŻEW. Then walk for about 10-15 minutes or take a bus (number 189, 193 or 410) to the stop BELDAN. http://ztm.waw.pl (available also in English). The cost of a single ticket is 4,4 zloties, around 1 Euro. Please see here a list of hotel with some explanation related to their location in the city. The fees include participation to the workshop- lunches - the workshop dinner - morning and afternoon refreshments. Note that the "member rate" will be granted to participants coming from the hosting institution. If you are from it, please send a message to G. Michelante (michelante@eiasm.be). The appropriate invoice will then be sent to you. Cancellations made before May 1, 2018 will be reimbursed minus 20% of the total fee. No reimbursement will be possible after that date.